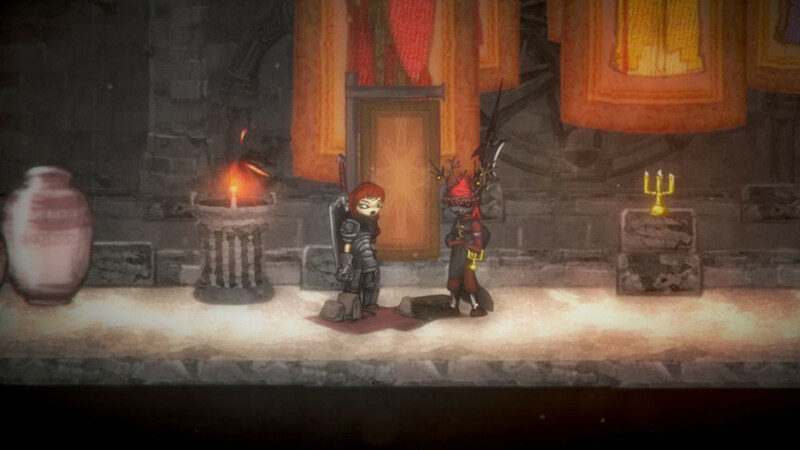 Heavily inspired by Dark Souls, Salt and Sanctuary takes key components from a selection of genres, to create a bleak yet intriguing 2D action RPG. Previously amassing a flurry of positive reviews upon its release back in 2016, this title has already established itself as one of the worthy Souls-like games on offer. Following the dark adventures of a sailor, shipwrecked on a strange island, players will uncover mysterious areas, fight fearsome bosses and upgrade their character’s stats. Due to the game’s existing reputation, this review will feature less analysis on Salt and Sanctuary’s content and will instead focus on the quality of the Nintendo Switch port. Nothing has been changed from the original release of Salt and Sanctuary on the PlayStation 4 back in March 2016. If you’ve already played Salt and Sanctuary on another platform then you aren’t going to find anything new here, unless you are looking for a solid portable version of the game. 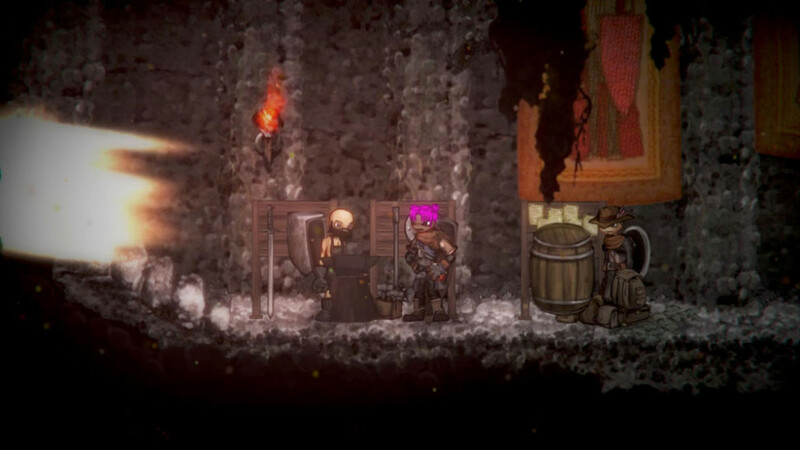 As I mentioned earlier, Salt and Sanctuary is heavily inspired by the Dark Souls series, taking with it a number of elements that will be instantly recognizable to any Souls fan. You’ve got your salt (you may know them as souls), which is dropped by killing enemies. Unsurprisingly, salt is used to level up your character. The leveling system works in the same way, just head to a shrine to spend your salt. Oh, you’ll also respawn at any bonfire when you die, I mean, shrine… There’s also the red flasks which restore health, similarly to Estus flasks. Then you’ve got the entire map being an interconnected world, just like (you guessed it), Dark Souls 1. By spending their salt on Pearls, or discovering them in the world, players also have the ability to unlock various skills. While some skills can be purchased repeatedly (up to five times) to improve character stats, others are available as a one-off purchase to acquire a specific item that may be beneficial for certain classes. Transmutation is also possible by combining boss/enemy remains with pieces of armor, shields or weapons. The biggest surprise of all is that Salt and Sanctuary manages to achieve all of this despite being created by just two people. As a fan of Dark Souls’ focus on combat, I was excited to see how Salt and Sanctuary would handle it on a 2D plane. While this game’s primary focus is still very much on a solid combat system, this didn’t quite translate as well in a two-dimensional space. This is by no means a deal breaker if you haven’t had a chance to test it out yet however, this is certainly something to keep in mind before chalking it up to be the perfect 2D version of Dark Souls. It’s important to not judge a game purely by its looks, however, there are times where the art style of a game can be so off-putting that you wouldn’t give it a chance if you saw it in a store. Sadly, Salt and Sanctuary is one of those games. There were a number of times where I had people watching me play this game and, well, let’s just say I heard the word “ugly” being thrown about quite often. I found that Salt and Sanctuary’s art style did take some time to see past, though this may not be the case for other people. To be fair, I don’t think anyone would say the game looks anywhere near as good as Hollow Knight, for example. I feel like I say this so often when talking about Switch ports but this game is no exception: Salt and Sanctuary lends itself to the portability of the Switch. Having the ability to farm salt while on my commute to work, then docking the Switch when I got back home to take on bosses made me feel like I’d saved a lot of time. My least favorite part of any RPG is when you are forced to grind, While the game did release on the PS Vita, that version typically runs below 30fps in most areas with boss fights dropping to the very low teens. In order to get the game running on the Vita, the developers of the port were forced into compromises that had a huge effect on the quality of the game. Issues such as the low base frame rate, item usage being restricted to the touch screen only, zoomed in effect (to render less of the game, thereby making it run slightly better) made the portable Salt and Sanctuary less than ideal. Fortunately, the Switch version does not contain any of these compromises, both in docked and handheld modes. As someone who loves to complain about the frame rate of games, I was satisfied with the way Salt and Sanctuary ran on the Switch. Salt and Sanctuary runs at 60fps most of the time, though there are points where the action does get heavy subsequently dropping the frame rate. Despite how busy the game can get at times, the frame rate never drops to the point where it becomes unplayable. The Switch version does not feature any improvements to the original game, it is strictly a port. Sadly this does mean that online multiplayer is still not an option, but players can still go through the entire game locally if you have a friend close by. Reviewed on Nintendo Switch (code provided by the publisher). Salt and Sanctuary may be inspired by the Dark Souls series, but that doesn’t necessarily mean every Dark Souls fan is going to love this game. The big problem with creating an entire game inspired by a well-loved franchise is that people’s expectations are going to be sky high. As someone that loves Dark Souls, I can say I enjoyed aspects of Salt and Sanctuary, but comparing the two games side by side seems incredibly unfair. Similarly to the Souls games, Salt and Sanctuary requires time and patience for players to reap its true rewards. While that may be attractive to some, it doesn’t quite have the same level of depth and finesse that would warrant it as a worthy substitute for one of the greatest RPGs ever created.